The fourth largest county in Texas, Bexar County is best known for its rich cultural history, including the Alamo and the San Antonio Missions. The County is also known for its arts and annual events, such as Fiesta and the Rodeo, as well as being home to a large retired military population. Bexar County is working to keep up with its rapid population growth, in part, by embracing technology that offers citizens faster service that’s easier to use and accessible outside of business hours. 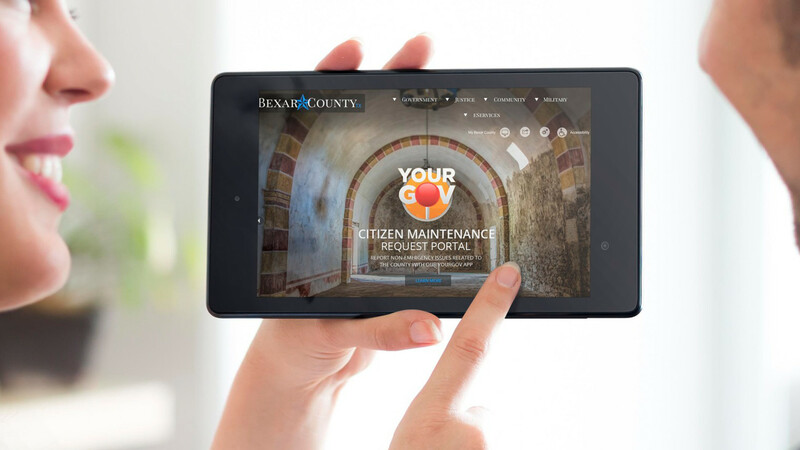 According to webmaster Rebeka Gresham, Bexar County residents enjoy the convenience that technology offers. In fact, the County is home to BiblioTech, the first ever all-digital library, which was “massively welcomed by the community.” With this citizen mindset, it became increasingly important for the County to keep in step with the digital age, which meant its website was due for an overhaul. 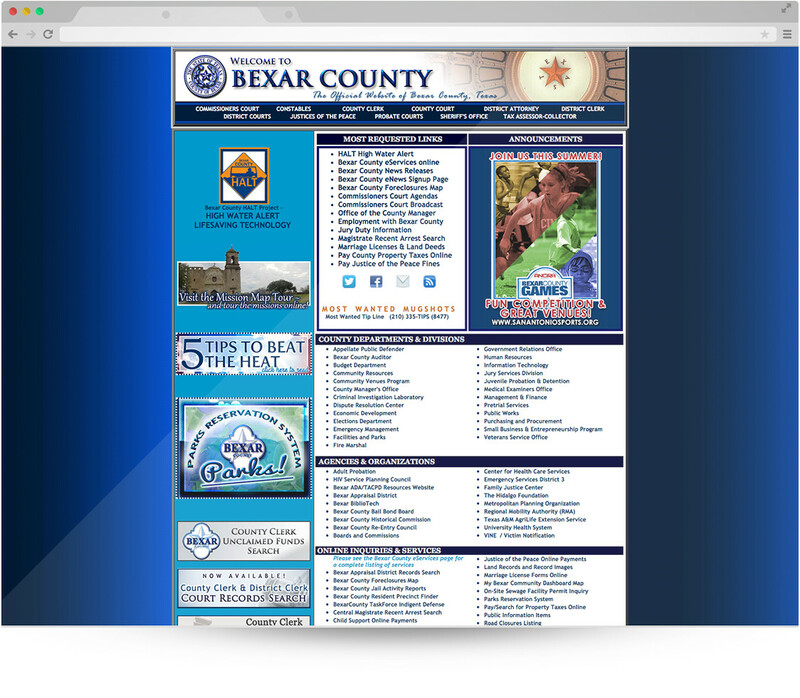 Bexar County’s previous website was built with HTML tables which were very limiting and made for an outdated site that wasn’t mobile friendly or user friendly. The staff had difficulty maintaining it because the coding behind it was so cumbersome. Even county offices and departments that used the website daily struggled. 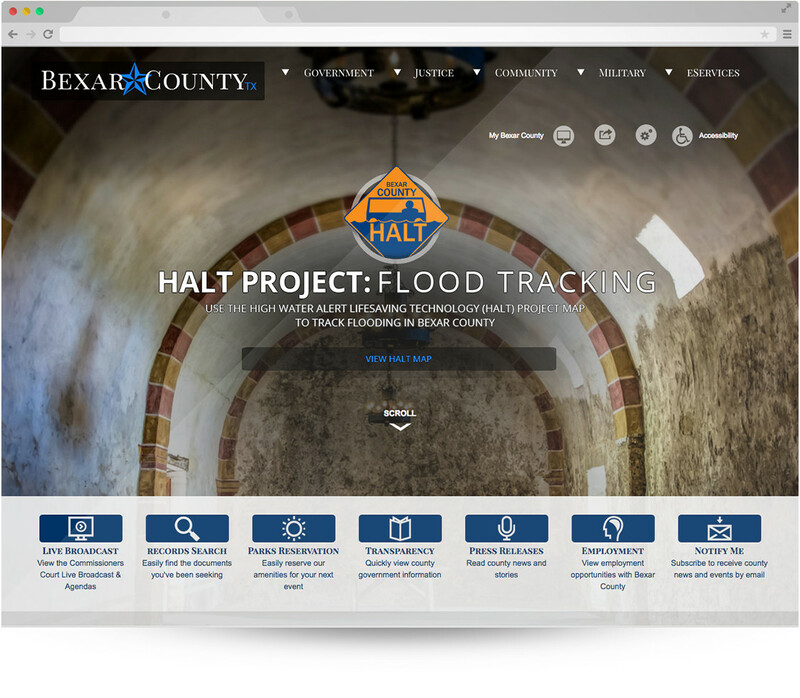 They knew they needed a change and set their sights on a responsive design that provided better ways to connect with and inform citizens. "CivicPlus was great to work with. Everyone is very friendly – even now, the project managers and account managers we work with are really good with communication." The departments use the Calendar to promote events and meetings; Form Center has been useful for event registrations and feedback; and Info Advanced allows them to leverage the same information across multiple pages quickly and with greater consistency.